Watch out, euro bulls! 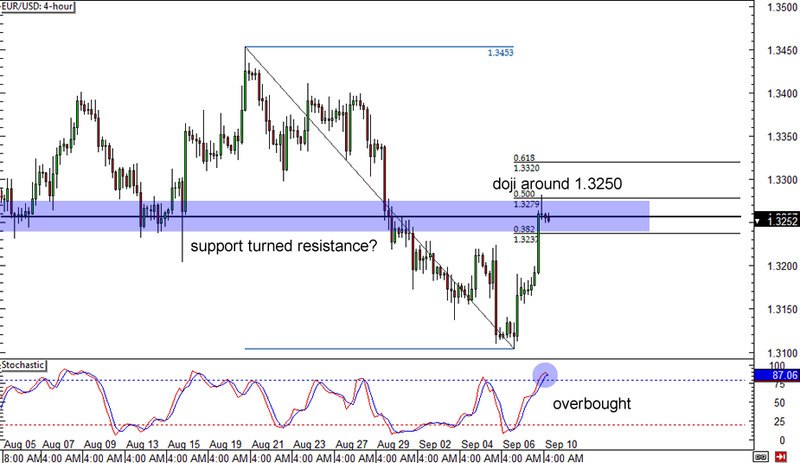 EUR/USD might have trouble sustaining its rally, as a doji has formed right on the 1.3250 minor psychological resistance. This is in line with a former support level, which is in between the 38.2% and 50% Fibs on the 4-hour time frame. Stochastic is in the overbought region as well, hinting that euro bears could pounce soon. 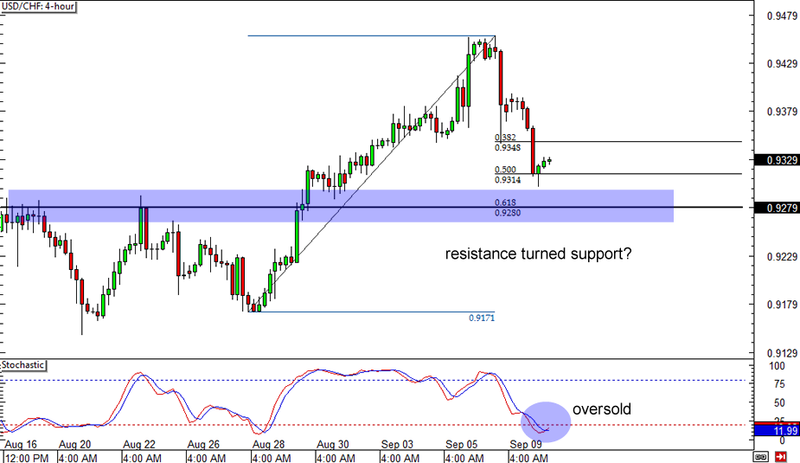 Here’s another potential retracement play on USD/CHF. The pair has been on a steady climb recently, but it appears to have run out of steam. With that, it could pull back to the 61.8% Fibonacci retracement level, which coincides with a former resistance zone. Stochastic is also suggesting a possible turnaround, as it appears ready to climb from the oversold area. Up, up, here we go! 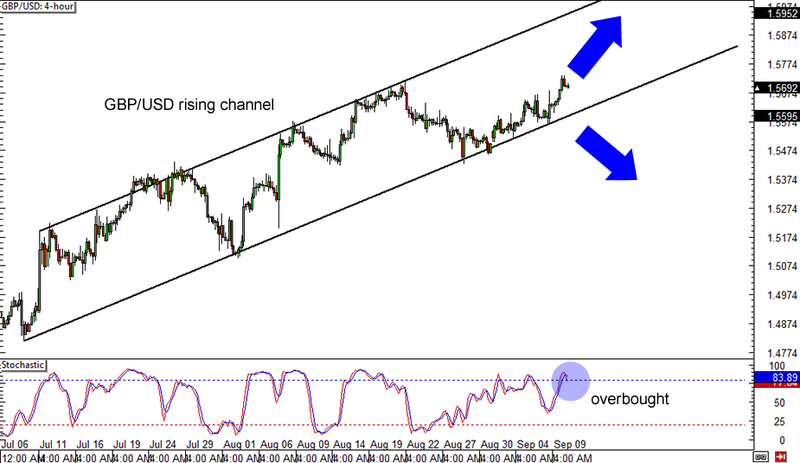 GBP/USD’s uptrend is still intact for now, as the pair just bounced off the bottom of the rising channel on the 4-hour time frame. Cable could be on its way to test the top of the channel again but stochastic seems to be painting a different picture, as the oscillator is signaling that the rally is overdone. Make sure you set your stops right if you’re riding the current trend or planning to catch a breakout!